Here's we found this Japanese diesel sedan that was produced by Isuzu, quite rare today especially in US, it's a Isuzu I-mark 1984 model year clothed in a fairly handsome 4-door sedan body. 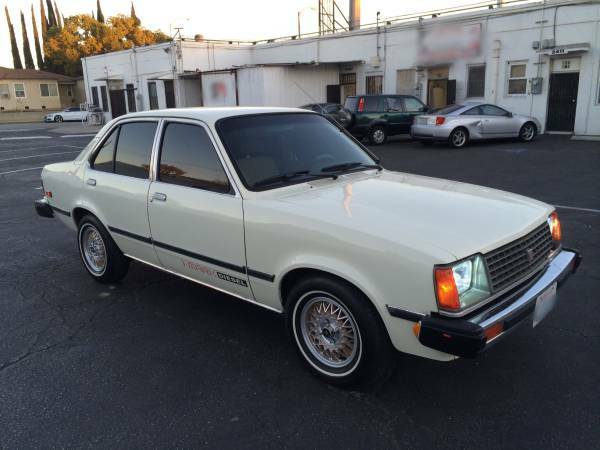 Already offered in craigslist about a month ago, 1984 Isuzu I-Mark diesel sedan with 176K original miles is for sale in Los Angeles, CA for $3500. As we've seen here is to be remarkable condition for its ages, and this one of amazing Japanese diesel cars for reliability, longevity and fuel economy all in, simple and easy, no doubt. That was a real contender for the Volkswagen diesel in a gas crisis climate period at its era, sold worldwide including many rebadged version such as, Holden Gemini in Australia, Opel Gemini in Southeast Asia, Saehan Gemini and Daewoo Max in South Korea. Not so popular than VW but really trusty. This Japanese SUV with Germany touch, yes this a special edition Isuzu BigHorn Irmscher R, based on the first generation Trooper these Bighorns come with high-end kit such as fitted special wide fender flares, Recaro seats, Momo steering wheel, Irmscher tuned suspension, bull bar, mud flaps, step rails, inclinometer, heavy-duty floor mats and power everything to improve off-road capability. 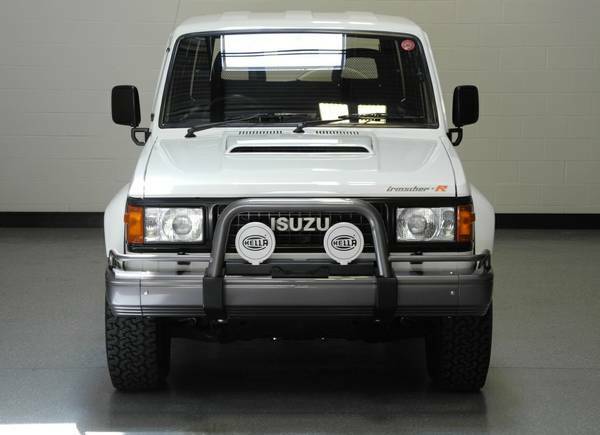 As the picture is a 1989 Isuzu BigHorn Irmscher R 5-door 4WD SUV is right hand drive was offered in Craigslist for $45000 location in Savannah, Georgia. As you seen here it's a survivor Irmscher R like a new condition, has perfect and solid body frame, all looks great with original paint. No doubt all is remarkable from outside to inside clean and neat, as always stored in garage and rarely used. Whole of these, the diesel is the best part from these SUV it looks so clean and powerful you will never get close to this trim level with your Trooper, is the Isuzu’s best gen-one engine ever made, mated with manual transmission only 22800 miles on it. Must see if you seriously want. The one of 564 ever made, it's a rare offroad vehicle with aggressive styling offered by Japanese automaker ISUZU. Lightweight but tough, fun but environmentally friendly of the vehicle was created purpose, named the VehiCROSS come in 4WD 3-door SUV has 3.5 L 6VE1 V6-gasoline engine mated with 4-speed automatic transmission. 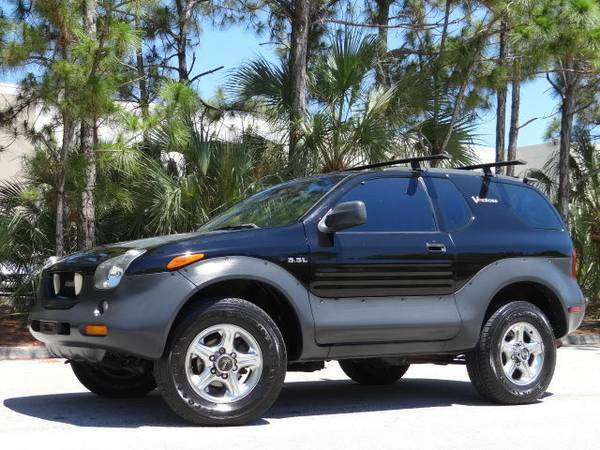 As the picture is the ISUZU VehiCROSS built in 1999 excellent condition like a new car, if you interested yes this SUV for sale.